Home AQI Service Blog Why importers use or not use Third Party Inspection Service? As international importers whom buy from China or Asia, what’s your greatest fear during the importing process? Is that your product won’t match specifications when you receive it? Or you are afraid factory didn’t perform the right tests to ensure your product meets regulations in your market? Or maybe you’re mostly concerned about shipping delays and risk of shipping. Many importer admit product inspection company helps them avoid most of these problems and many others. Having the quality inspector visit the factory before shipping ensures your expectations are met. It also gives you the transparency to forecast any potential delays in production or shipping. But why some importers might choose not to outsource quality inspection to a third party QC company? and some importers choose to work close with the QC company? It can be helpful to have a kind of “one-stop shop” that can assist you with most or all of your supply chain needs. And many importers appreciate that the same third-party inspection firm can help with other areas of their supply chain. 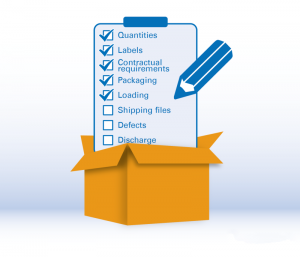 Third-party product inspection isn’t the best QC option for every importer. But there are some compelling reasons why many importers continue to prefer it to other inspection methods. There are also other importers that rely on a hybrid of methods. For example, you may choose to hire a full-time inspector for areas where you need routine inspections frequently. But you might also hire a third-party inspection company to service areas where orders are produced less regularly.